We restore wooden furniture that’s old, modern or antique, small or large. 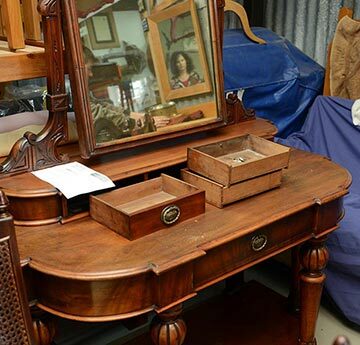 Anything from boardroom tables, coffee tables, desks, chairs, dining room tables, bedroom suites, through to small jewellery and trinket boxes in need of some TLC. We can restore any piece to its former glory or simply change the look by changing the colour and handles. If you have restoration needs simply take a photo of the work required and email it to us, we can then supply a quote for the work required. If necessary we can call on prospective customers and offer free advice. All work is professionally done. A pickup and delivery service is available for smaller items (small charge applies) but we recommend the use of local carriers for all heavier & multiple items.